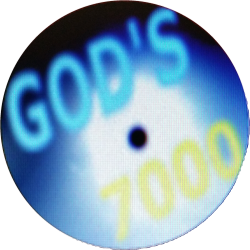 John 1:1 In the beginning was the Word G3056, and the Word was with God, G2316 and the Word was God. From G3004; something said (including the thought); by implication a topic (subject of discourse), also reasoning (the mental faculty) or motive; by extension a computation; specifically (with the article in John) the Divine Expression (that is, Christ): account, cause, communication, X concerning, doctrine, fame, X have to do, intent, matter, mouth, preaching, question, reason, + reckon, remove, say (ing), shew, X speaker, speech, talk, thing, + none of these things move me, tidings, treatise, utterance, word, work. Of uncertain affinity; a deity, especially (with G3588) the supreme Divinity; figuratively a magistrate; by Hebraism very: X exceeding, God, god [ly, ward]. What is The WORD? It's something said. WHO said it? Almighty GOD said it. GOD was made flesh. HE WHO SPOKE The WORD was made flesh. GOD HIMSELF is The WORD. John 1:2 The same was in the beginning with God. Psalms 16:8 I have set the LORD always before me: because he is at my right hand, I shall not be moved. Psalms 110:1 A Psalm of David. The LORD said unto my Lord, Sit thou at my right hand, until I make thine enemies thy footstool. 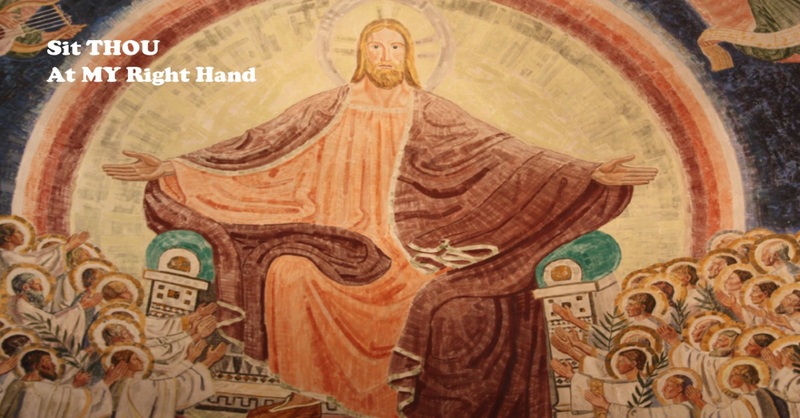 My point in the post is that GOD and JESUS are ONE and the SAME, and we know that the right hand is symbolic of a person's work. Therefore, JESUS sitting at the Right Hand of GOD would mean that GOD is doing the work in the form of JESUS. Just as in all things were made by HIM and for HIM. And this would mean that JESUS is GOD'S Right Hand. I think you could also say that The WORD is doing all of the work. It's just a thought. I'm not really clear on it yet.